A COMPANY SPECIALISED IN FIRE PROTECTION CAPABLE OF OFFERING YOU A WIDE RANGE OF SOLUTIONS ADAPTED TO YOUR NEEDS. Fixed and automatic devices intended to detect the start of a fire, sound the alarm, and extinguish or contain a fire. A reliable, effective sprinkler in the event of a fire, the sprinklers are used to pour a suitable quantity of water appropriate to the fire risk on your premises to extinguish or contain a fire. Equipped with fuses or bulbs, the sprinklers activate independently from contact with hot gas for temperatures between 57°C and 343°C. On the roof, under your false, hidden or visible ceilings, the sprinklers ensure coverage at all points of the building. Attached to a city or autonomous water source (pump + reservoir), your installation is fully autonomous 24hr/24. The activation of one single head will ensure that your installation comes into operation when the alarm is raised (guard service or your monitoring station). Water: the most currently used system. Glycol: used under conditions for premises at risk of freezing. Air: a dry network pipeline system. Once a head is activated, the air is replaced by water in under 60 seconds. Flood: all the sprinklers release water following an activation command. Pre-action: for large-scale premises, the water drains only after detection (several solutions) and confirmation by activation of a sprinkler. Foaming agents: if water alone is ineffective, additives are used, such as film-forming agent. AAI designs and produces your installation in line with a number of reference frameworks: APSAD R1, NFPA 13, NE EN 12845 and FM GLOBAL..
Our APSAD certification (No 032/01) allows us to support you and achieve our objective of an N1 certificate, while guaranteeing the compliance of your installation with rule R1. The FHC-Plus is powerful and more effective than an extinguisher, while the reinforced fire hose cabinet (FHC) is intended for class A and B fires..
DN19, DN25 or DN33 in diameter, it is composed of a line with a bi jet nozzle (sold stream or spray), attached to a semi-rigid hose 30 metres maximum in length and rolled on a fixed or pivoting reel..
Their installation in our establishment is intended to guarantee the protection of all spaces by a stream from two fire hose cabinets. Permanently attached to a pressurised water supply, your installation is ready for use.This is why it is described as ‘reinforced’. Source: tap water (with or without compressor). The reinforced FHC is intended for specific fires which cannot be controlled using only water. In addition to water and with the same basis as a FHC, it is equipped with a low to high expansion foaming agent system. It is composed of a reservoir of foaming agent (generally 120 litres for 20 minutes of use at 3%), an adjustable injector at 1%, 3% or 6%, and a special line..
AAI sets up your installation in accordance with two reference frameworks, namely standard NFS 62-201 and rule APSAD R5. Our APSAD certification (n°034/02/J5.F5) allows us to deliver declarations of conformity with rule R5 and declarations of installation. Special risks: storage of dangerous products, aeronautics, petroleum industry, chemical industry, waste treatment, perfumery, painting, distilling, etc. The co-existence of multiple risks calls for suitable protection..
A cannon helps tou to reach a precise point by automatic, manual or remote sweep-steering. A range of heads operating simultaneously allows you to form a curtain of protection, after being triggered manually or through appropriate automatic detection. You tanks or the storage of inflammable liquid can be secured using a water + foaming agent extinction system which can fight surfaces fires. Hedge against the release of toxic substances into the atmosphere byapplying low or medium-expansion foam to your containers. Combat the rapid spread of a fire by smothering it, by flooding your premises with high-expansion foaming agent in just a few minutes. 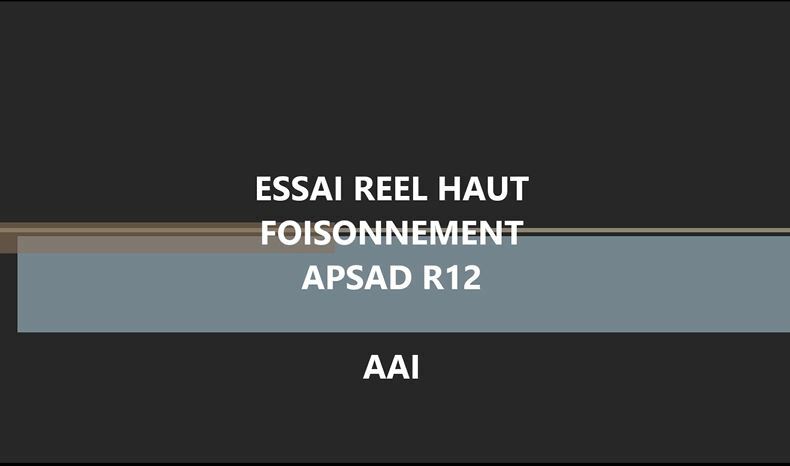 AAI achieves your protection in accordance with the rules APSAD R12, NFPA (11,15,16,30, etc. ), GESIP and FM, and with advice from the insurer or client. Appropriate protection for your hotel, your offices, parking areas for electrical vehicles, your archives, data centre, power generator(s) or cable trays. The mist emitted extinguishes the fire by smothering the flames..
Fine droplets of water projected in a strong spray (60 to 100 bar depending on the risks) saturate the atmosphere of the treated rooms with water. The atmosphere thus made encumbered traps the combustion fumes and the heat radiation by lowering the temperature of the rooms considerably. Unlike the sprinkler, the mist nozzles have several orifices with short diameters. They are in the form of a flood nozzle or nozzle equipped with a fuse. With a fuse, they are triggered separately upon contact with hot gas. Integrated into your roofing or false ceilings and set 12m² to 30m² apart, these nozzles attached to a network kept at 14 bar guarantee the short-term or overall security of your building.. The network is made of 316L stainless steel with very short diameters (Ø12 to Ø65mm) and makes it possible to minimise the weight of the fire networks on your frames. Your installation is permanently connected to an autonomous electrical pump source + tank of 10 m³ to 50 m³ or to pressurised canister systems in the case of the protection of objects, and is in a state of constant standby. The triggering of just one nozzle will bring your installation into operation, and also set off an alarm sent to your guard service or monitoring station. Other examples of protection: phytosanitary factory, dry-type transformers, engine test bench, immersion fryer. Danfoss : the supplier and partner of AAI offers you its expertise in the fire extinction using water mist. AAI designs your device in accordance with standard NFPA 750, and guide APSAD D2, CEN-TS14972.